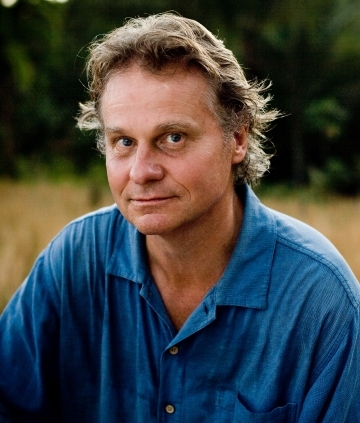 Wade Davis is a Canadian anthropologist, ethnobotanist, author, and photographer whose work has focused on worldwide indigenous cultures, especially in North and South America and particularly involving the traditional uses and beliefs associated with psychoactive plants. He is the professor of anthropology and the BC leadership chair in cultures and ecosystems at risk at the University of British Columbia. He has had articles published in publications such as Outside, Fortune, Conde Nast Traveler, and National Geographic. Davis is an Explorer-in-Residence at the National Geographic Society and has been name by the NGS as one of the Explorers of the Millennium. He has been described as a rare combination of poet, scholar, scientist, and passionate defender of all of life’s diversity. His work has taken him to places like East Africa, Borneo, Nepal, Peru, Polynesia, Tibet, Mali, Benin, Togo, New Guinea, Australia, Colombia, Vanuatu, Mongolia, and the high Arctic of Nunavut and Greenland. His photography has appeared in dozens of books and almost 100 magazines, journals, and newspapers, including Time, People, GEO, National Geographic, Outside, and Men’s Journal. They have also been exhibited at the International Center of Photography, the Cultures on the Edge exhibition, the Marsha Ralls Gallery, the Utama Center in Malaysia, and the Carpenter Center of Harvard University. On top of that, some of his photographs are a part of the permanent collection of the United States State Department, Latin America, and African Bureaus. Davis is also an accomplished author, writing books such as “The Serpent and the Rainbow: A Harvard Scientist’s Astonishing Journey into the Secret Societies of Haitian Voodoo, Zombis, and Magic” (1997), “Into the Silence: The Great War, Mallory, and the Conquest of Everest” (2012), “The Wayfinders: Why Ancient Wisdom Matters in the Modern World” (2009). For availability and speaker fees, please contact Wade Davis’s speaking agent at Chartwell here, or call +1 972 385 1021 for U.S. inquiries or +44 207 293 0864 for international inquiries.